on pairs that can provide you with the highest amount of profit without being as risky as some others are. The key is to know what your options are and to know which pairs of currencies are the best to focus on. With many different pairs out there in currency, it is easy to get overwhelmed and confused, long before you actually find yourself making a profit. For this reason, it is best to stick with the following three pairs because they provide the best results for most people. 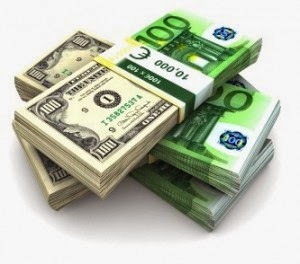 The Euro is the world’s second most popular currency, after the US dollar. There are currently over 14 countries, in which the Euro is the official currency, and around 5 more countries, which use the Euro on an unofficial basis. These countries are collectively known as the “Eurozone” or the “European and Economic Monetary Union (EMU)”. people. It has the lowest spread that you will find in any currency trading. It responds well to basic technical studies of Forex, unlike some other forms, and this makes it easier for those who are new to Forex to learn how the system works. Under normal circumstances in the market, the EUR/USD pair is not necessarily volatile, unless there is some type of reason for this. More so, it has a strong global view and it is covered extensively. All of this equates to less risk and closer stops. The USD/JPY is the second most traded currency pair, accounting for 13% of all Forex transactions. Japan holds a significant amount of U.S. external debt. The final match up for beginners is the Great Britain Pound to the Dollar. This pair moves largely and it can bring more pips in one simple move than either of the other two mentioned transactions. This is the pair to consider for breakout trading. However, there are risks associated with this pairing that need to be noted. You will need further away place stops and the pair can be quite volatile. The GBP/USD constitutes 9% of the Forex total daily trading volume, making, ranking it the third most traded currency pair. Because this pair includes US dollar as its component, the most active trading hours are usually during the New York trading session – the session with the highest trading volume. The GBP/USD is characterized by a relatively high level of price fluctuations, compared to other currency pairs.